THOMAS R. MULALLY, a native New Yorker (Brooklyn, 1957), became a partner in the firm in 1991. Like his partner, Mr. Mulally had early experience in the areas of commercial litigation and creditors' rights which led him to start his own firm in 1989. He received his Bachelor of Arts degree from Queens College (History, 1980) and attended Whittier College School of Law where he was named to the respected Moot Court Honors Board and received his Juris Doctor degree (1984). 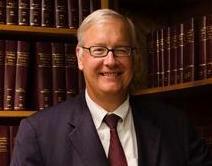 After passing the California Bar, he served as an associate attorney in the Law Offices of Jon Kadoni in Los Angeles where he handled the Big Rock Mesa Landslide litigation. From there, Mr. Mulally joined the law firm of Hemar, Gordon & Rousso, where he developed an expertise in commercial litigation and creditors' rights. Mr. Mulally has been active in the Los Angeles County Bar Association's Pro Bono Program since 1985, and was a delegate to the State Bar Convention in 1989 and 1990. He was named as a finalist in 1997 for Boss of the Year by the San Fernando Valley Legal Secretaries Association. He serves as the Los Angeles Regional Chair for the United Association of Equipment Leasing (UAEL).